The National Science Foundation(NSF) announced Monday that it is awarding a handful of universities more than $5 million to establish four regional hubs devoted to furthering the ability of organizations in fields ranging from agriculture to healthcare to make better use of big data. The awards are the next step in advancing the National Big Data Research and Development Initiative that’s been in the works for a couple of years now. The Big Data Regional Innovation Hubs are coordinated by data scientists at Columbia University (Northeast Hub), Georgia Tech and the University of North Carolina (South Hub), the University of Illinois at Urbana-Champaign (Midwest Hub) and the University of California, San Diego the University of California, Berkeley and the University of Washington (West Hub). More than 250 organizations nationwide, including from municipalities and big companies, will work with the schools to speed research discoveries into practice. 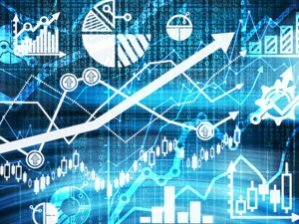 The NSF anticipates financial support for the big data effort to come from beyond its wallet, though does anticipate awarding $10 million in grants to establish Big Data Spokes focused on specific research areas and addressing issues such as improving data access and automating the data lifecycle. A national meeting of Big Data Hubs stakeholders will take place this week in Arlington, Va., and two public webinars will be accessible on Nov. 5.The announcement of the BD Hubs awards and BD Spokes solicitation comes days before the first national stakeholders meeting of the BD Hubs, to be held Nov. 3-5 in Arlington, Virginia. Big data research is currently a huge focus at leading universities. In just the past week or so, we’ve received information on: efforts by Clemson University researchers figuring out ways to better store and communicate data; how Northwestern University’s School of Professional Studies is analyzing big data about sports stadiums; and how MIT is using algorithms to replace human intuition for automated big data analysis.